Have a unicorn Facebook Messenger chatbot on your hands that you want to share with others? Maybe you’ve designed a perfect bot you want to clone for another similar client or location? Whether you’re copying your own bot for another Facebook page or want to give someone your bot to clone, it’s done in a flash in MobileMonkey! Clone a Facebook Messenger Bot with a Click! It’s incredibly easy to clone bots from within a multi-page Team account. 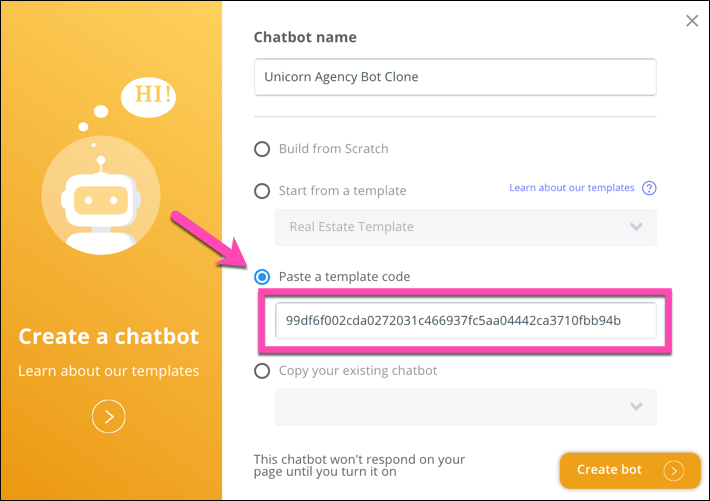 Sharing a bot is a simple copy and paste job that allows others to use your bot as a starting place for their own bot or lets you to copy a bot from across companies. Click into “More Chatbots (Advanced)” at the bottom of your MobileMonkey dashboard to see your chatbots on the page. This will give you a link that can be used by others to duplicate that bot for their own Facebook page. 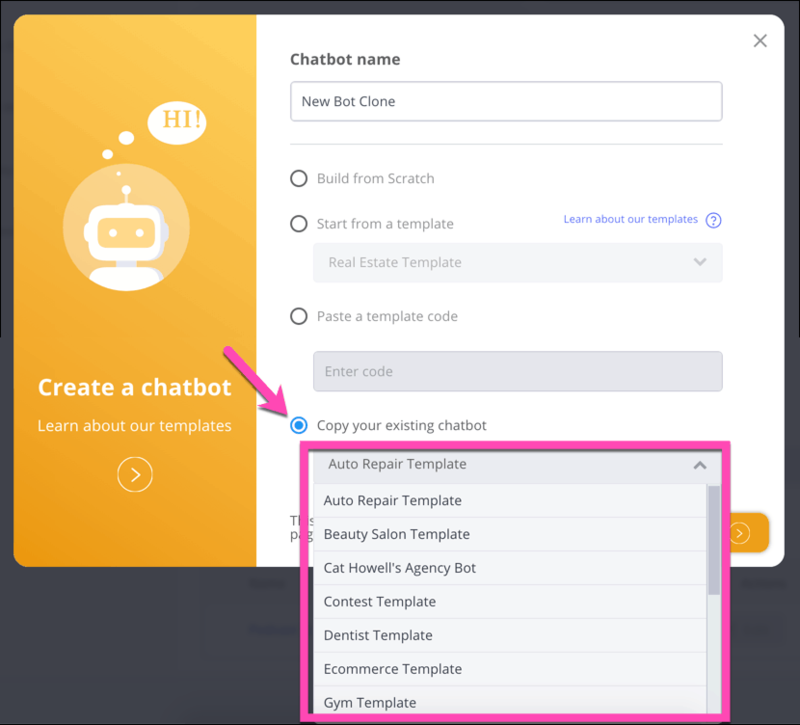 Now when you or a colleague paste this link as a template for a new chatbot, the shared bot will be loaded in! Bot sharing makes it easy to copy your Facebook Messenger chatbots across companies. Facebook marketing agencies with multiple clients can share a chatbot with multiple clients and companies, and adjust it to custom fit each business. There’s no need to start from scratch when you’ve already created the perfect bot to share. You can create one bot and then let multiple users copy the bot for their own use. This also applies if you have businesses at multiple locations with multiple Facebook pages — you can create a single bot and share it with the social media managers of the other locations. Want to share your bot template outside of your company? You’re free to share your bot template with whomever you like, and the code will work for any MobileMonkey user. In the private MobileMonkey Island Facebook group, you can ask for and share the best chatbots for any industry or use case with the bot building community! If you’ve already created the perfect chatbot, why start from scratch? That unicorn of a bot can do wonders for others, as well. Start designing and sharing Facebook Messenger chatbots today for free!